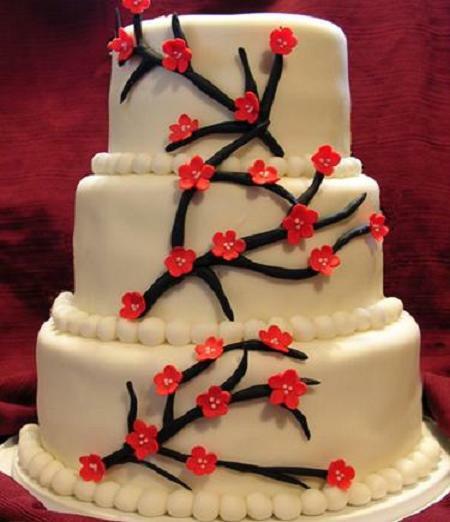 The couples spend quite a huge amount of money on this special occasion, with a multi-tier wedding cake costing to a few thousands of dollars. 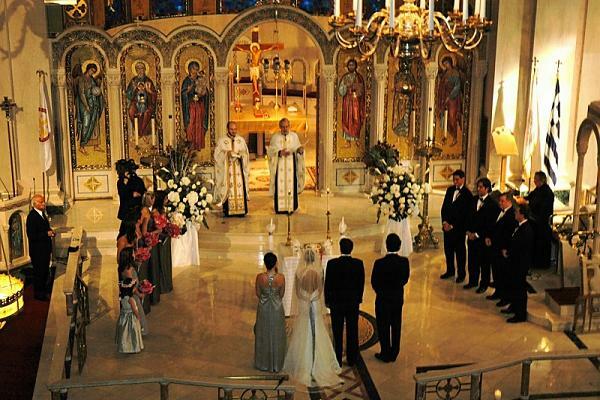 Studies suggest that the hotel industry gets an annual profit of about $20 billion from the weddings. 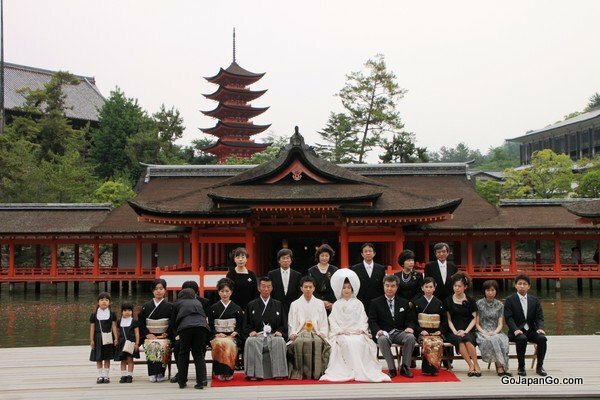 While Shinto is the traditional style of Japanese wedding, contemporary wedding traditions also are quite prevalent these days, with Christan and Buddhist forms leading the pack. 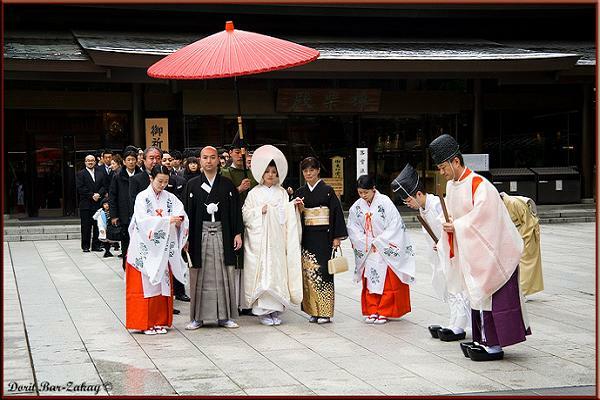 The most fascinating part of Japanese wedding is that bride and groom themselves choose the wedding styles, which does not necessarily match with their religion, caste, customs and traditions. In this way, guests, hosts and other people get opportunity to enjoy and learn the traditions of other cultures and religions. Catch up with some of the most fascinating, authentic, and interetsing traditions and specialities of Japanese wedding ceremonies. 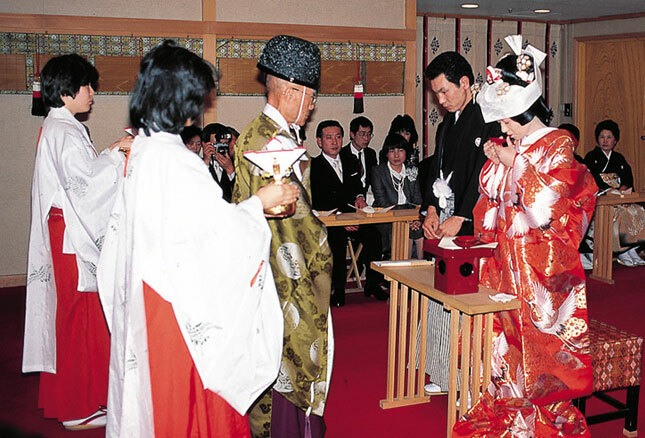 Shinto is the traditional way Japanese get married. With changes happening at skyrocketing pace, hotels with shrines are now the favorite wedding destinations of Japanese couples. A Shinto priest leads the entire ceremony with groom taking oath and reading out the words of commitment. The couple is then purified by drinking sake. 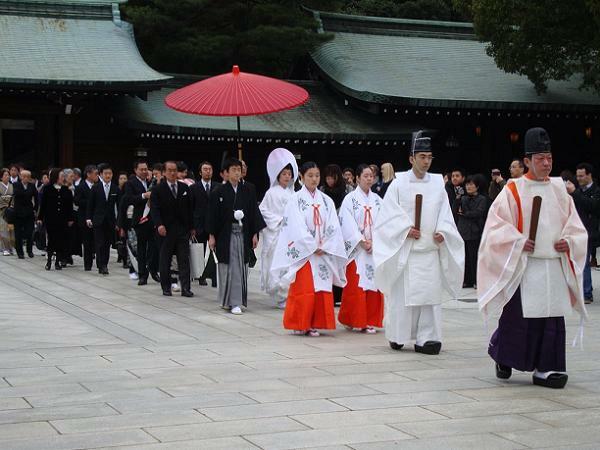 The symbolic donations given away to the Kami mark the end of the Shinto wedding traditions. The above saying is so true and heart touching! The wedding celebrations depend widely on the outfits of the bride and bridegroom, since they are the most crucial and exclusive element of every wedding. 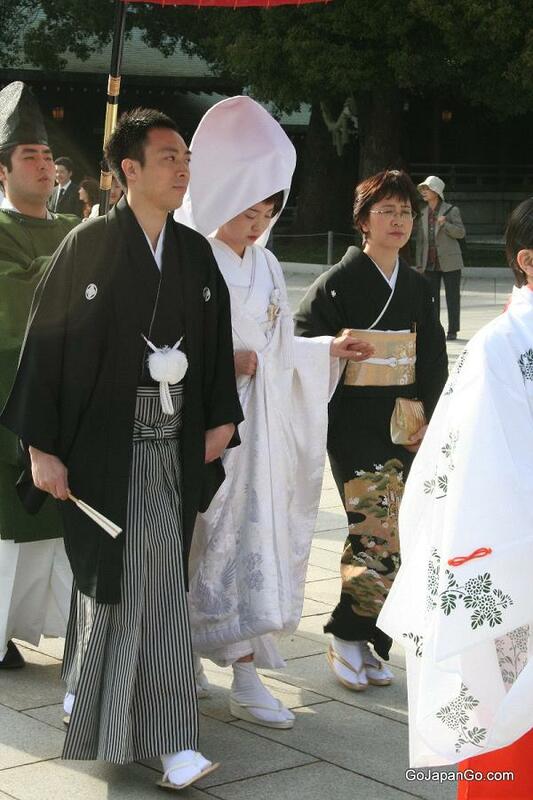 As per Japanese wedding ceremony, the bride usually wears two outfits: one is shiro and the other one is uchikake kimono. The shiro is basically a white kimono, which is designed for the main wedding function and the other outfit is patterned brocade, which is designed for the reception. The hair is usually tied with the bun, which is accompanied by multicolored kanzashi accessories. Furthermore, a white wedding hook is designed for the bride, in order to cover the two front horns which are gold in color and indicates obedience. A black jacket with 5 familu crests – The elaborate deisgns on this jacket perfectly complements the nagajuban designs. 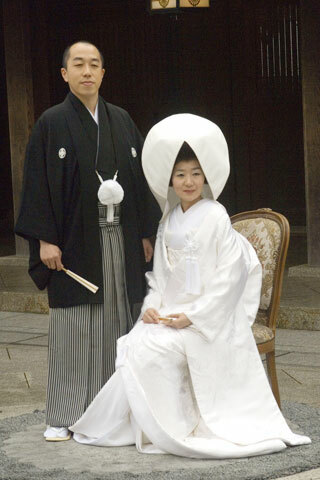 The grooms wear the haori with a belt that is tied loosely using a himo in the front. The accessories – White tabi socks paired with white zori sandals with squared toes. There are grooms who carry a fan as well, but is just for the photogenic purposes. According to the tradition, the priest waves three times the bundle of white paper strips that are fixed with the stick. This tradition is accomplished to purify the room for the participants and the couple. After completing the tradition of drinking sake (san-san-kudo) the participants stand and clap twice. This tradition is accomplished to ward off any sort of demons or evil spirits and draw the attention towards the deities. 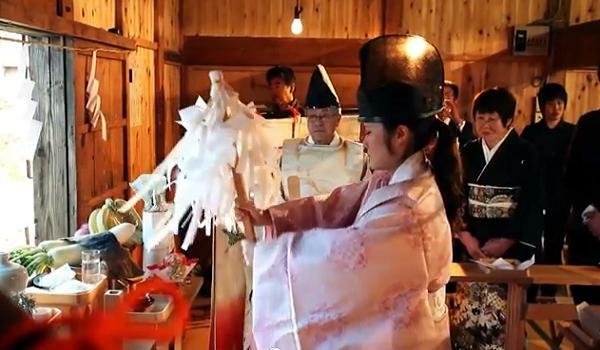 The Shinto wedding style is followed with the conventional Japanese music. The wedding rings are exchanged between bride and groom. Then, miko maidens serve the sacred drink, called sake while wearing red and white dresses. After exchanging the rings, the couple moves towards the Shinto sanctuary in order to present the twigs of Sakaki (the sacred tree) to God. This solemn tradition is the most sacred part of the wedding. This usually takes place at the end of the wedding ceremony. After the main wedding ceremony, relatives, close friends, neighbors and colleagues are invited to attend the reception party, known as Kekkon Hiroen. All the guests usually dress up in a formal theme. For example, female guests prefer wearing suits or kimonos in decent colors, while male guests prefer black formal suits. 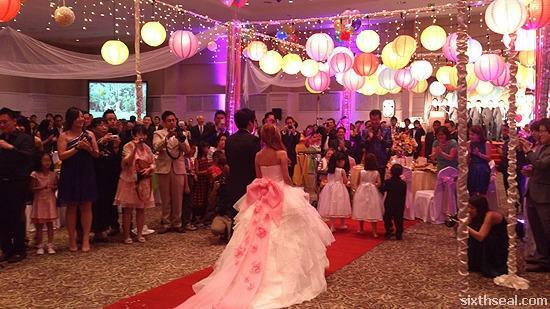 In Japanese culture, wedding reception is the most awaiting and expensive event, as huge number of guests gets invited. Perhaps, for this reason, many couples plan their wedding in other countries, such as Hawaii, as lots of expenses can be reduced. Like other cultures, Japanese weddings also include invitation cards which are designed to invite the guests. In return to these invites, the guests are obliged to send an enclosed response while affirming their presence or absence in the reception party. In Japanese wedding receptions, guests are required to enclose the cash in an exclusive envelope, known as Shugi Bukoro. The name of the guests will be written in the front. The envelope is usually given to the available person at the reception desk. After handing over the envelope, the guests have to sign in the guestbook to re-affirm their presence. During the reception party, the couple may change their outfits again. They leave the hall and change their dresses according to the tradition. The groom usually changes his waistcoat or the inner, while the bride changes the entire outfit for one more time. It is a tradition that Japanese bride is expected to wear bright colored overhaul for the final entrance in the event. 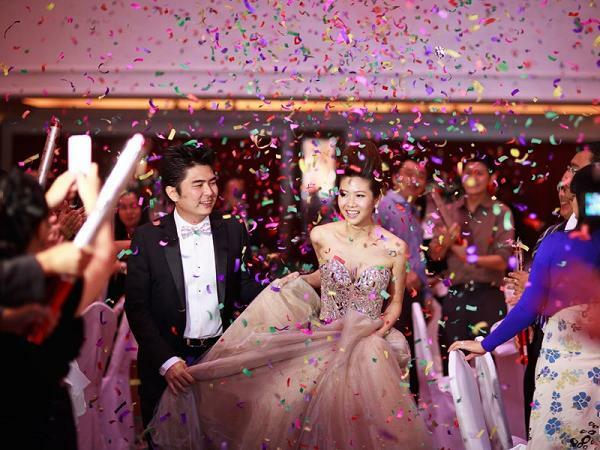 After changing the dresses, the couple enters the hall and greets their guests. 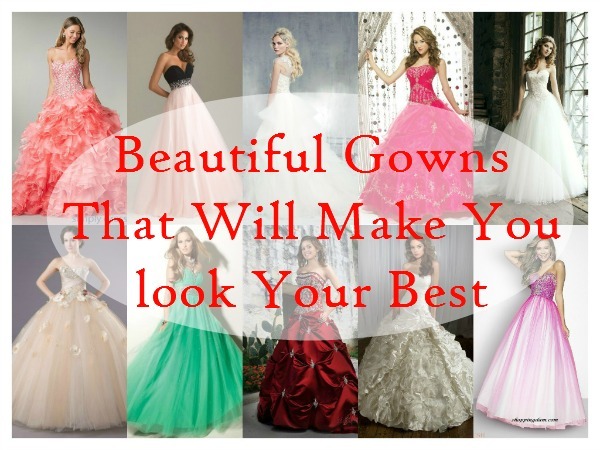 Undoubtedly, these traditions let every bride and groom enjoy a royal and magnificent look. The bride and groom offer presents and gifts to their guests. It is an ancient tradition and is accomplished to symbolize the family wealth. The reception party usually comes to an end by offering the closing speech. However, the young friends and cousins might continue to arrange the second party and perhaps a third party as well. Then the couple lived happily ever after! Japanese weddings are rich exhbitus of beautiful and colorful customs that give ample opportunities for the bride and groom as well as the families and friends to get to know each other. Japanese wedding traditions, these days, are a beautiful blend of western and Japanese traditions, transforming the wedding ceremony into an unforgettable one, for the couple as well as the guests. However, despite the western influences, the presence of traditional aspects are still evident, making a Japanese wedding chaste!